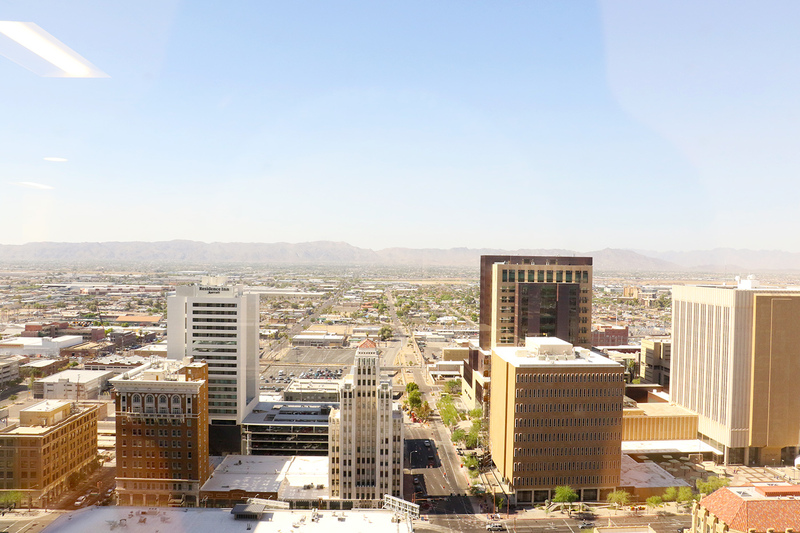 gabriel partners Archives - Downtown Phoenix Inc. 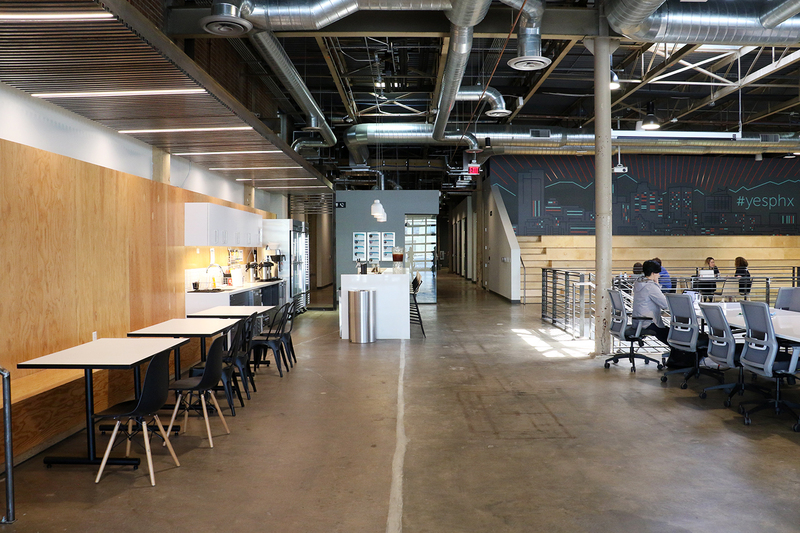 Downtown Phoenix’s office culture is shifting. T-shirts and jeans are the new business outfit du jour, and company happy hours, ping pong tables and free snacks are now workplace necessities, er I mean, perks. 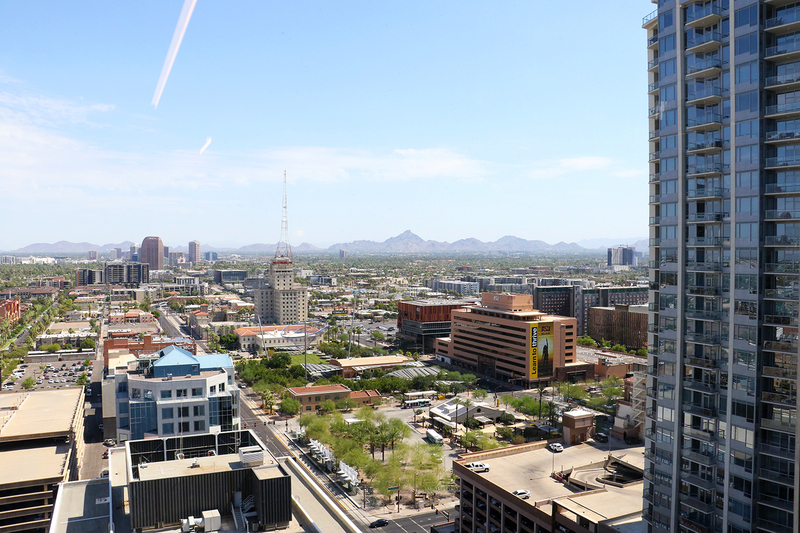 Every day, new companies — tech, startup and beyond — move to or open locations in Downtown Phoenix. 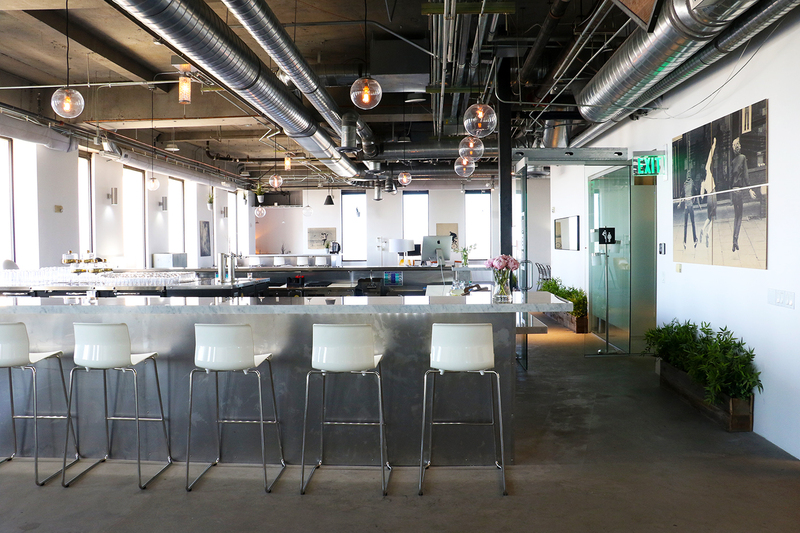 And if office envy were contagious, we’d all have a case of it. 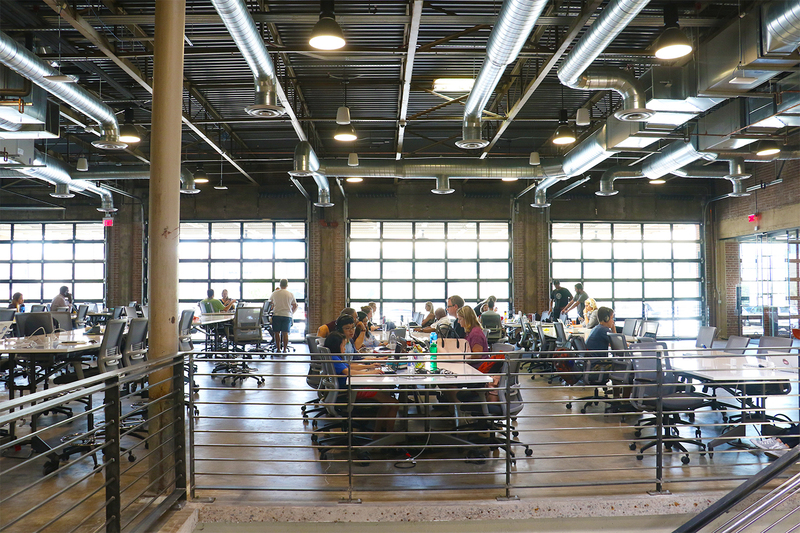 From historic warehouses to offices with a view, these companies are rejecting the closed-off office spaces and dropped ceilings of yesteryear, opting for open floor plans, exposed pipes, and natural lighting instead. 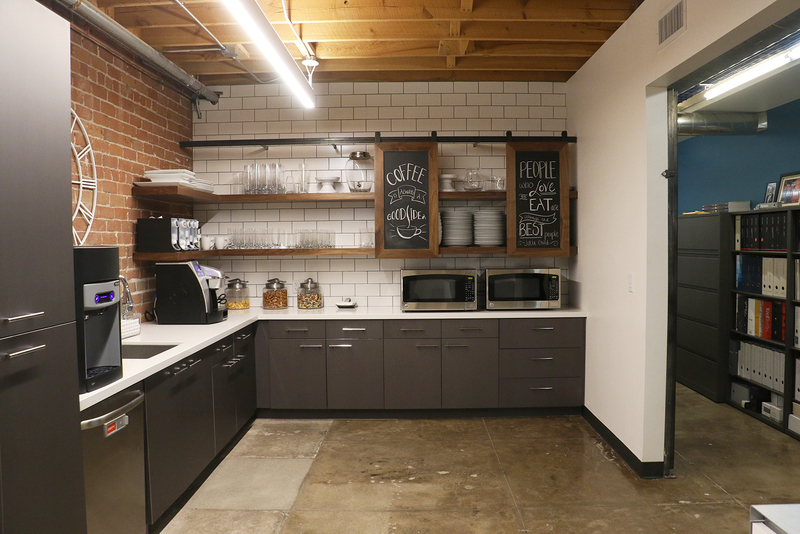 These are just a few sweet office pads you can find in Downtown Phoenix. 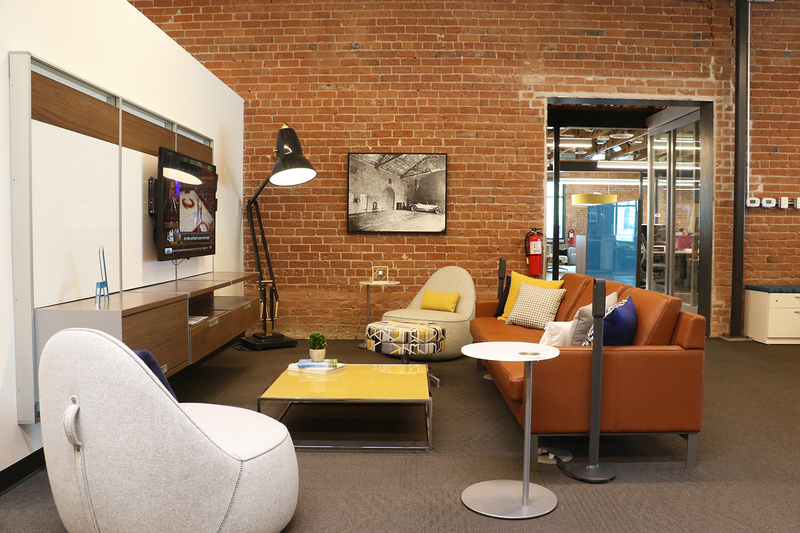 Their employees have made a career out of having great taste, and Atmosphere has the office space to prove it. 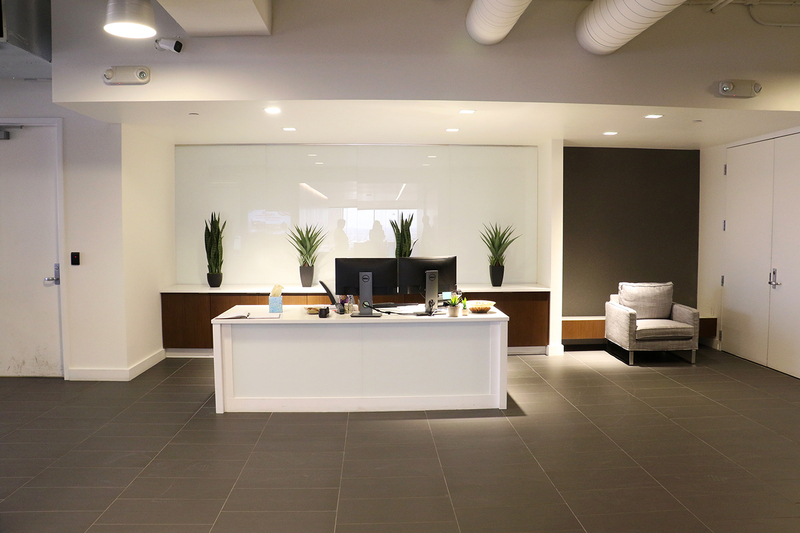 With furnishings from the brands they sell and love — the commercial interior company’s new office on Central Avenue and McKinley Street is a working showroom meaning everything rotates as new products come in. Old furnishings are either sold or donated. 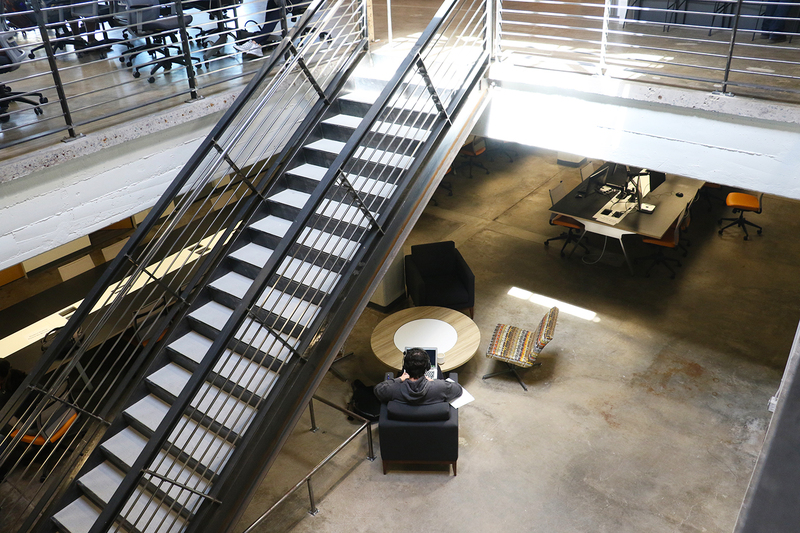 In addition to working in such a beautiful space, perks here include a free Friday morning yoga class, unlimited snacks and company bicycles. 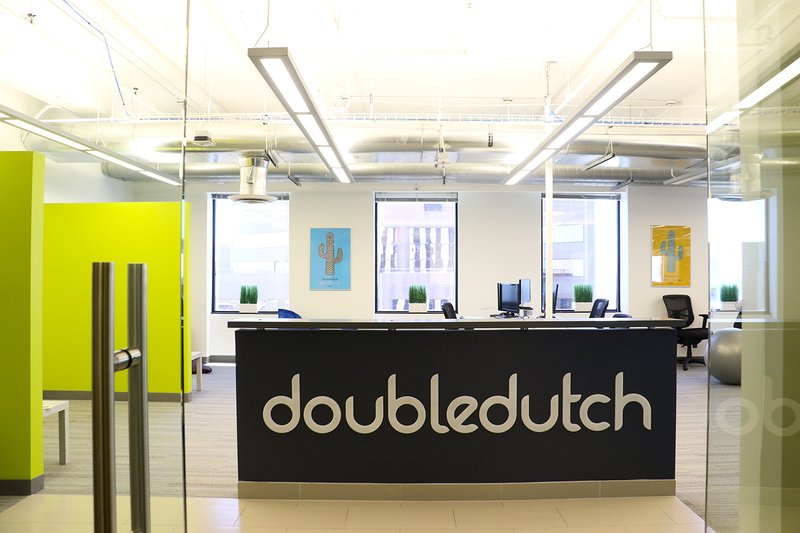 DoubleDutch specializes in digitizing event experiences through app-based technology customized for events, conferences and trade shows. 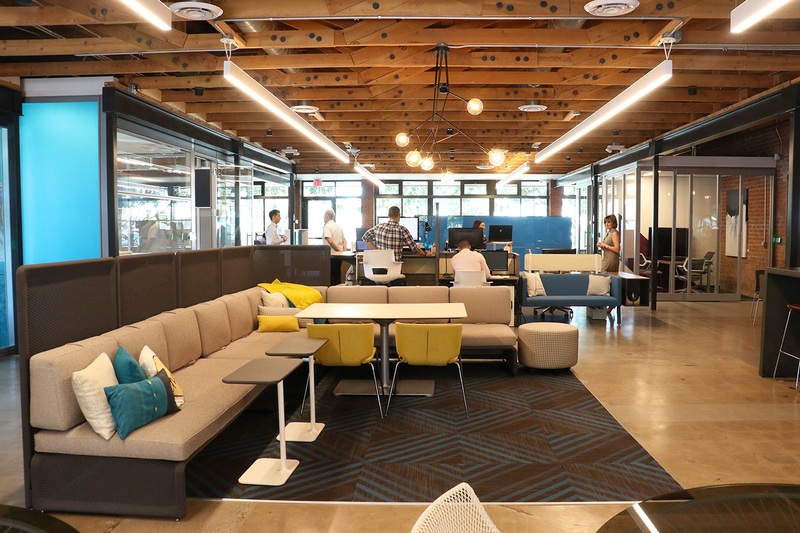 The San Francisco-based company opened its Downtown Phoenix location in 2016, and though its only a year old, the space already feels like home. 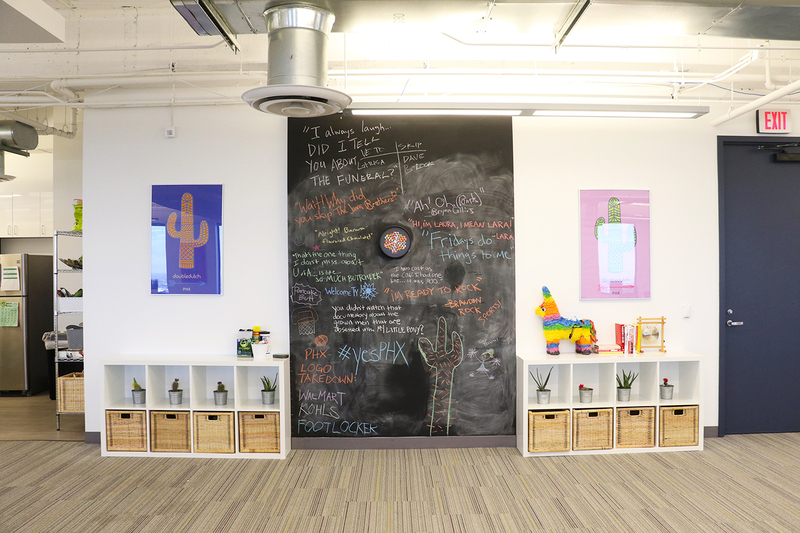 Embracing its Phoenix locale, the space located inside the US Bank Building features conference rooms named after cities across Arizona and desert poster art hung throughout. 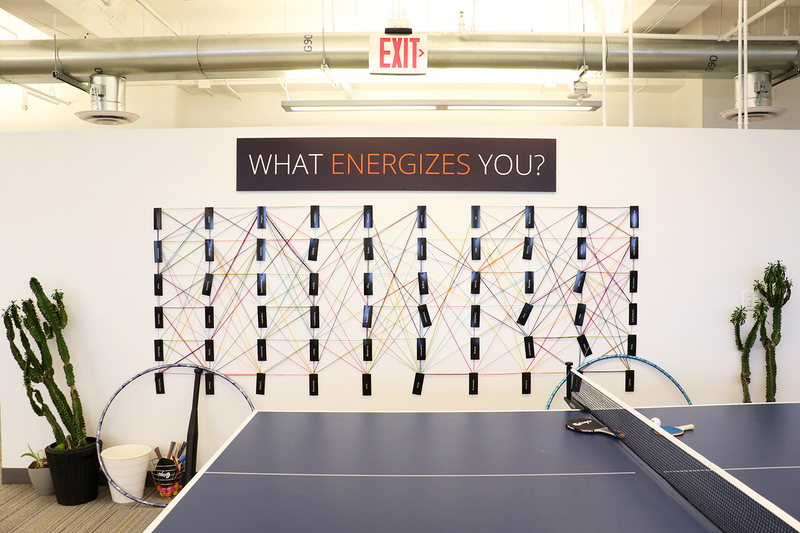 Bright splashes of color, cozy nooks, a ping pong table and the chalkboard wall demonstrate the company and staffs’ personalities. Did we mention it’s dog friendly? 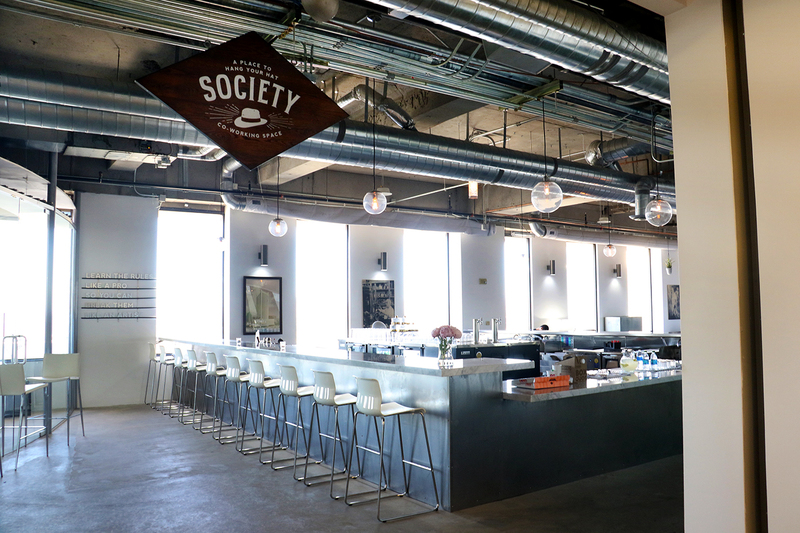 Meet one of downtown’s newest shared workspaces: The Society. 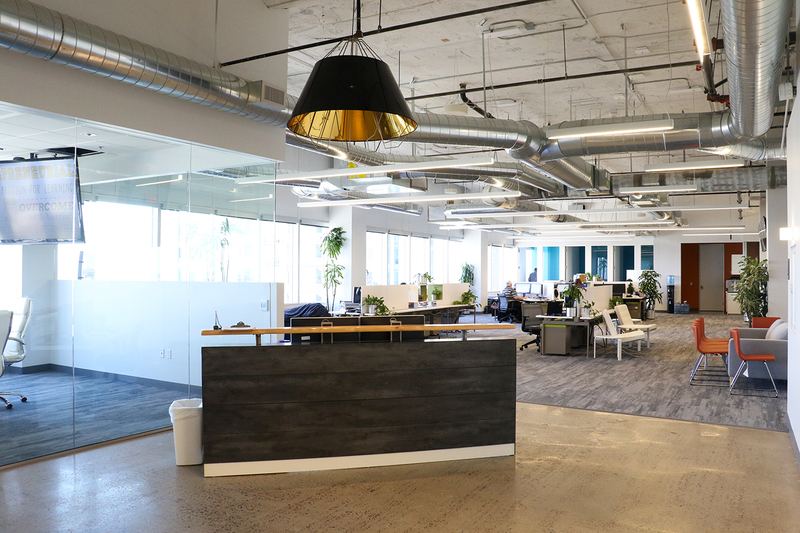 With sweeping views of the city from the 31st floor, the penthouse suite also inside the US Bank Building offers an open, communal working area as well as individual private offices. 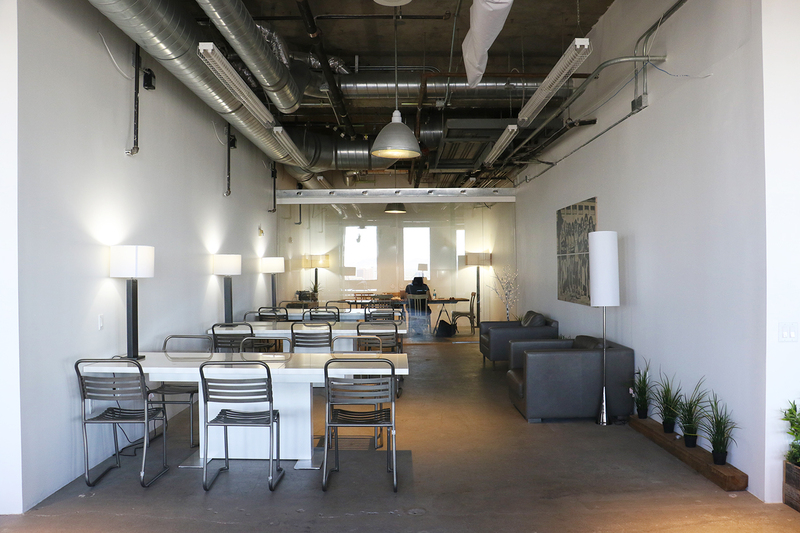 The Society aims to provide entrepreneurs with a professional office environment without the ties of a long lease or high rent. 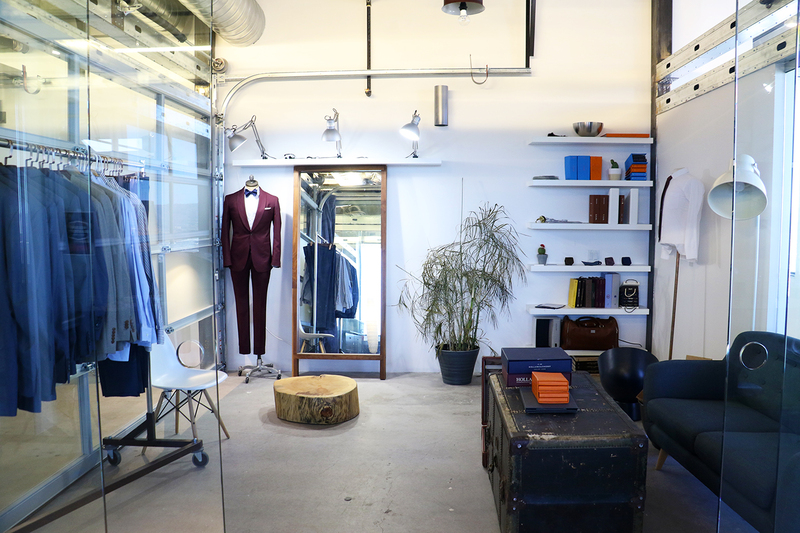 So far, its growing list of tenants includes website developers, graphics designers, and even a custom suit tailor. 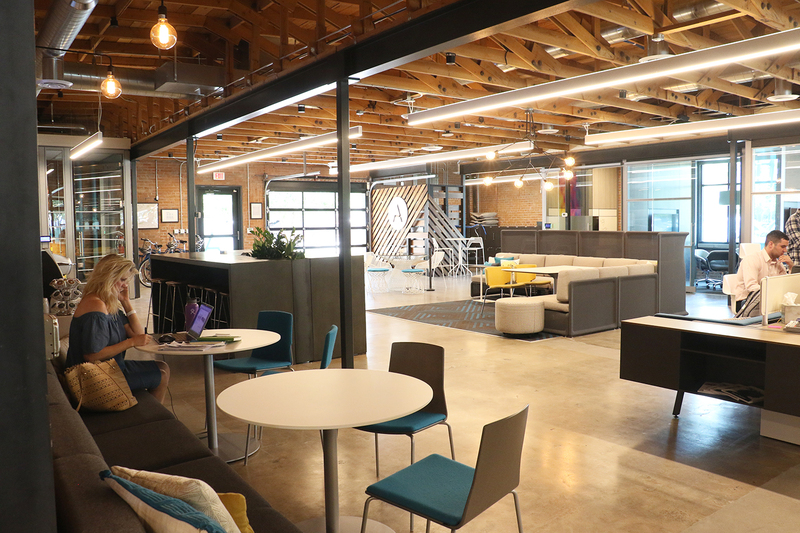 This Cleveland-based financial security technology firm just opened its Downtown Phoenix location in 2016. 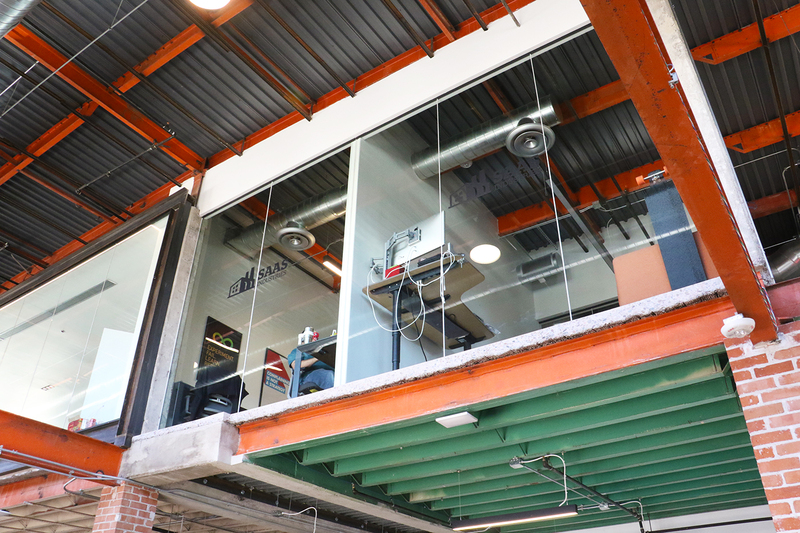 The modern office space encompasses 20,000 square feet of space at One Renaissance Square, which is currently undergoing $50 million in renovations. 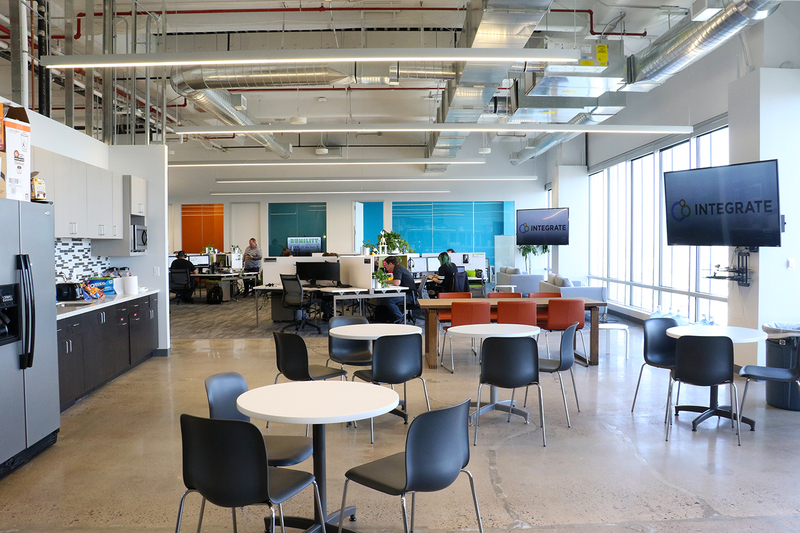 Its sleek design and modern finishings make for a productive workplace, whereas spontaneous happy hours foster inter-employee rapport and a healthy company culture. 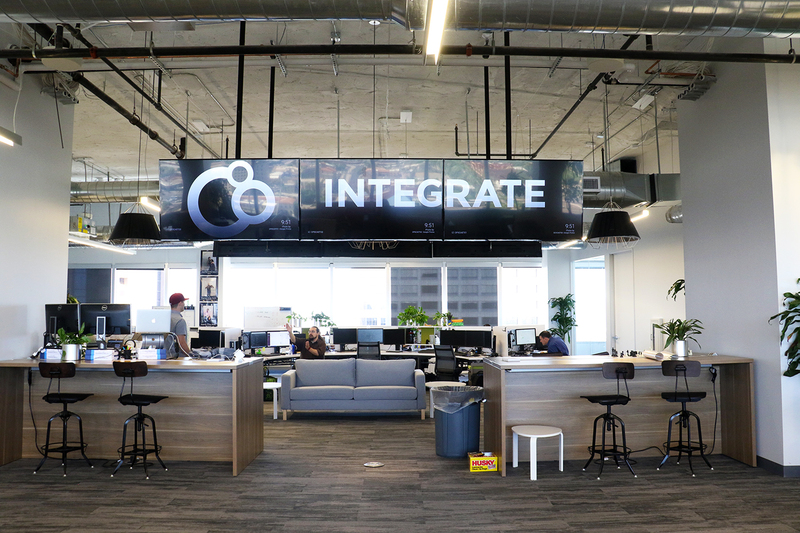 Looking for a chance to be in the hub of tech and startup companies, Integrate recently moved its flagship location from Scottsdale to Downtown Phoenix. According to Veronica Mowchan, Director of Human Resources, it’s been a great fit and the team loves the convenience of walking between restaurants and coffee shops. 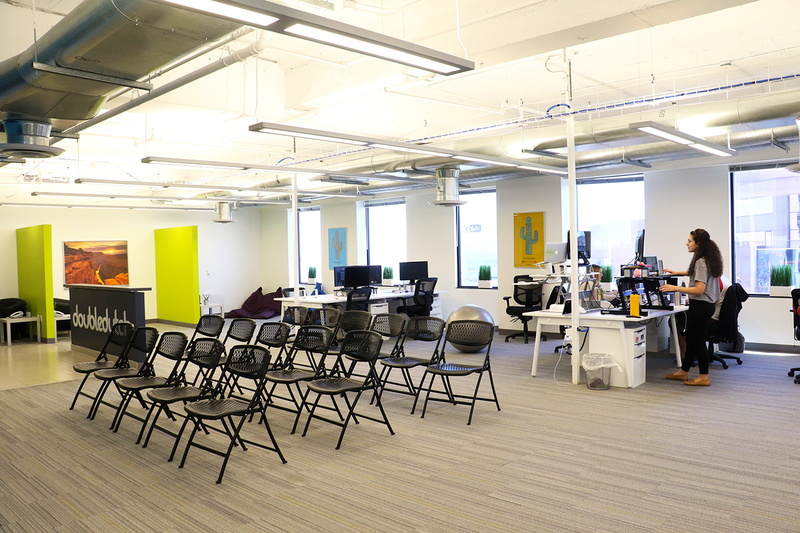 The fast growing cloud marketing integration software company is still unpacking its bags, but the penthouse suite inside the 111 W. Monroe building is plenty worth gawking at. 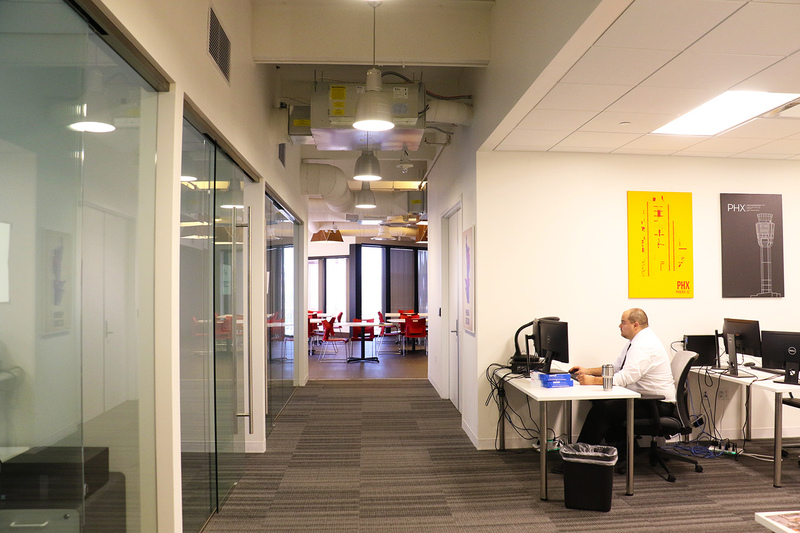 Opting for a more open office space, the team works together on the floor — including the CEO and CFO. 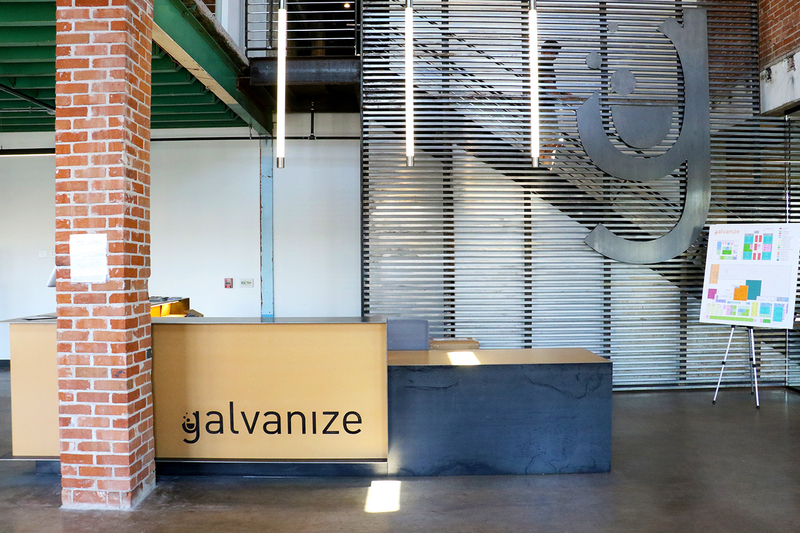 Bridging industry and education, Galvanize’s sprawling campus is equipped with classroom space, private office suites, communal workspace, conference rooms and large event spaces for workshops, panels or presentations. Between the brick walls and the natural light pouring into the room from the old loading bays — there’s no denying the space is designed beautifully. 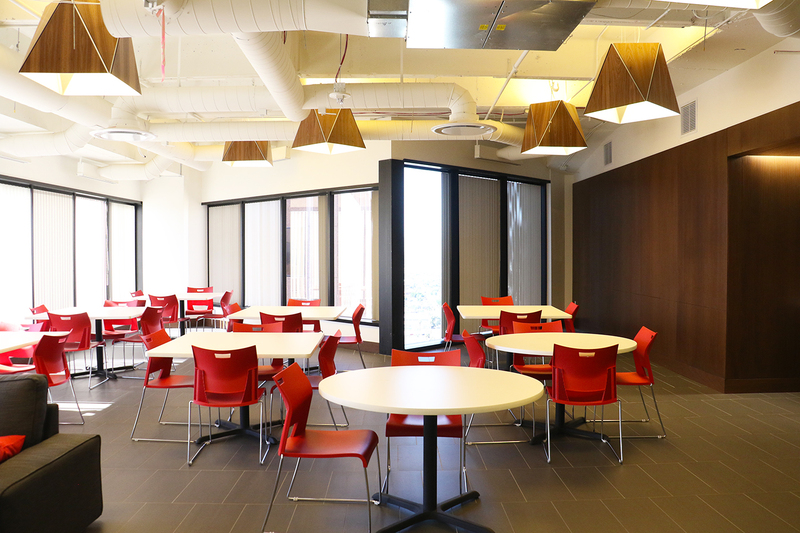 However, the collaborative culture of the campus is what truly defines the space. 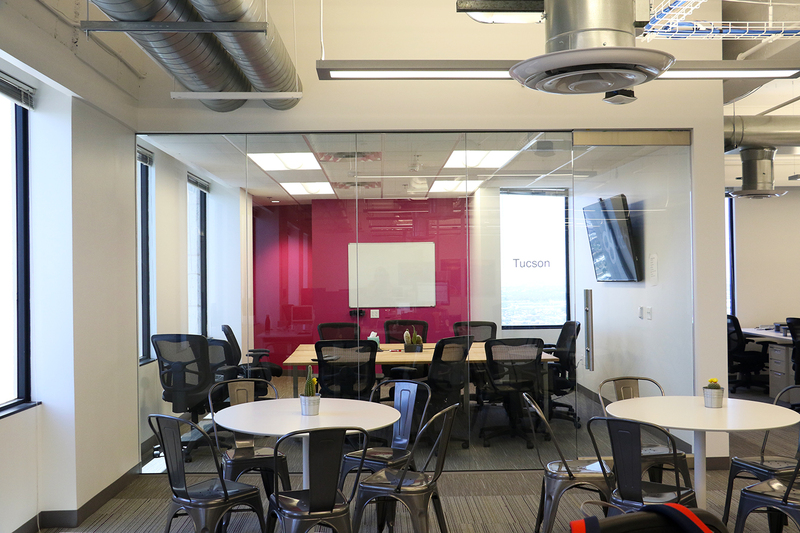 Both students and entrepreneurs cohabitate the space. 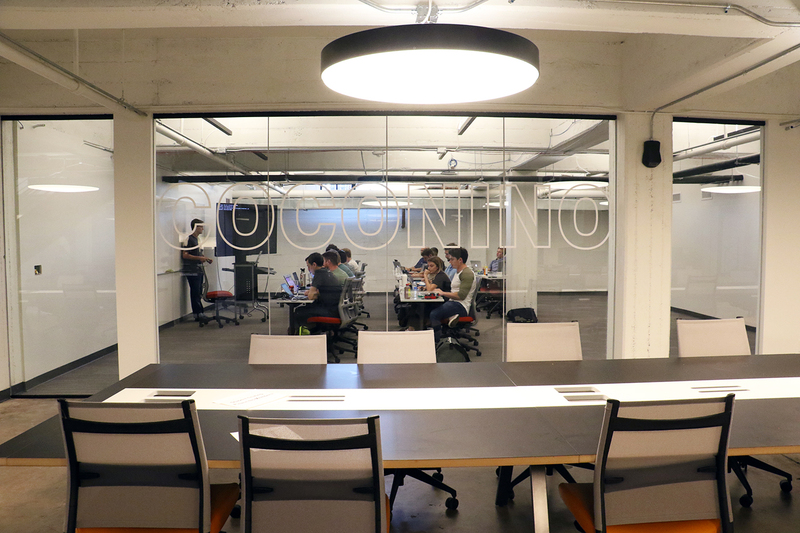 The company operates tech-related training and houses more than 100 companies, from independent entrepreneurs to startups to Fortune 1000 companies. In this environment, students get access to industry and industry gets access to talent and innovation.